Elite Martial Arts Mississauga is in the most fortunate of positions to officially welcome Edward Wood to the EMA team, assuming the position of EMA Mississauga Owner and Head Instructor. Ed brings with him over 34 years of Martial Arts experience, 15 of which have been exclusively dedicated to Krav Maga. In addition to the highly regarded position Ed currently holds at EMA Mississauga, Ed is also the Co-Founder and Head Instructor for the Krav Maga Association of Canada. Ed has personally been involved in the teaching and certifications of professional Krav Maga Instructors who are currently teaching at KMC’s 4 active locations, which include Elite Martial Arts Mississauga, Elite Martial Arts Toronto, Steve McCulloch’s Anytime fitness and the KMC National Head Quarters, Wood’s Premier Martial Arts. In 2007, Ed formed an affiliation with Premier Martial Arts & their Krav Maga Universal Director Ernie Kirk. In 2008 Ed successfully established the Krav Maga Association of Canada with co-founder Steve McCulloch and Ernie Kirk, who served as an associate advisor. Ed and his affiliate schools currently operate under the KMC banner and still maintain affiliation with Krav Maga Universal. Prior to co-founding KMC, Ed completed his own Krav Maga certifications in the United States with Krav Maga Worldwide. He was the first Krav Maga Instructor to offer the system in the province of Ontario. This makes Ed the longest running Krav Maga Instructor in the province today! In addition to his contribution to the Krav Maga community, Ed is the former president of the Martial Arts consulting firm, United Professionals and he currently serves on the board of Advisers for Premier Martial Arts. Ed’s credentials & experience speaks for itself. Even more telling than his qualifications and credentials is his high skill level both as a Martial Arts practitioner and an Instructor. Any student or aspiring Instructor who is lucky enough to learn from Ed Wood is privileged to obtain firsthand knowledge from a true professional in every sense of the word. With a work ethic that comes second to none and a dedication to his students and Instructors, Ed continues to build the Krav Maga Association into a top quality organization that sets the standards for what world class Krav Maga should be. It is with great excitement that EMA Mississauga welcomes Patrick Wu to our team, fulfilling the role of EMA Mississauga Lead Instructor. Patrick also currently serves as a Lead Instructor for the Krav Mag Association of Canada. Patrick is truly a life-long student of Martial Arts and is a true personification of what a Martial Artist should represent. Patrick began his Martial Arts journey at the age of just 7 years old, enrolling in the Kid’s Karate program at Wood’s Premier Martial Arts. By the time he was 12 Patrick received his Black belt, followed by his first degree Black belt in 2003. Patrick did not stop there as he was awarded his second degree Black belt in 2008 and third degree Black belt in 2010 respectively. As Patrick continued to grow as a Martial Artist, he ventured into other forms of combat sport and self defense. He became focused on learning and perfecting his skills in Krav Maga, beginning his Krav Maga training in 2004. In 2009 Patrick received his Krav Maga Black Belt from Edward Wood of the Krav Maga Association of Canada. In 2013 Patrick began teaching Krav Maga full time as a KMC expert Level 6 Instructor. Patrick also holds valuable experience and various credentials in Brazilian Jiu Jitsu (under P.J O’Sullivan, ) Kickboxing and Yoga. EMA Mississauga is fortunate to have such a skilled and dedicated professional maintaining the highest quality of instruction available to our students. Patrick takes a realistic approach to the self defense he teaches and pays very close attention to detail. Any student who is lucky enough to train under Patrick has the privilege of enjoying a fun, high energy class that is informative and efficient in producing results for students. Today Patrick comes to us with over 17 years of Martial Arts experience and doesn’t plan on stopping anytime soon. EMA Mississauga welcomes Fahad Naseem to our team fulfilling the role of Lead Instructor. Fahad has been a true student of Krav Maga in all aspects. He takes a very well rounded approach to his own training and the training of our students. In addition to his work at EMA Mississauga, Fahad is well known to conducting and assisting in many classes and seminars at EMA North York and Stoney Creek Krav Maga (Our sister school affiliates). It is through Fahad’s ventures into the Krav Maga community that he has been able to help so many students throughout the GTA at our schools. He is currently a certified L4 KMC Instructor under Ed Wood, Head Instructor of the Krav Maga Association of Canada and also holds the rank of Krav Maga Black Belt. EMA is very proud his Fahad’s achievements and contributions to our schools. EMA Mississauga is very pleased to welcome PC Kru Matthew Wearn to our team. 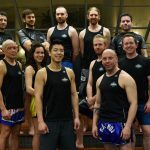 PC Matthew has taken on the role of Lead Instructor for the Muay Thai program at EMA Mississauga. Matt brings with him over 10 years of Muay Thai experience under the tutelage of Kru Yai James Hines (Ajahn Suchart’s first Canadian student!). He has successfully helped prepare and corner fighters, as well as conduct enjoyable and educational Muay Thai classes for students of all levels. In addition to his Muay Thai credentials one of Matt’s most proudest achievements was helping establish the scholarship program at Old School Muay.. The scholarship is in honour of his dear friend Graham Barton and is intended to help underprivileged youth, who shows exceptional dedication to Muay Thai, the opportunity to train in Thailand. EMA Mississauga is proud to have such an experienced and dedicated professional such as PC Kru Matt to our team. As EMA Mississauga continues provide the best possible Muay Thai training to our students, we are happy to welcome PC Kru Chris Pacheco to our Muay Thai team. Chris is a Muay Thai Blue Shorts under EMA Founder Kru Dan Novak and is also a PC Kru under Dan Novak and Ajahn Suchart, through the Sport Authority of Thailand. Through a strong work ethic and commitment to training, Chris has proven himself to be a true example to our students. He takes a challenging, yet supportive approach to his class lessons to bring out the full potential of our students. Never happy to settle on his previous accolades, Chris has his sights set on beginning a career in competitive Muay Thai. In addition to his Muay Thai credentials, Chris is also an Advance level Krav Maga practitioner and an L2 Instructor under Dan Novak and Ed Wood of the Krav Maga Association of Canada. He currently lends his services to the EMA Toronto location for the Krav Maga program. EMA is very happy to officially welcome Chris to our team! In addition to EMA’s Lead Instructors, our schools have assembled a professional team of highly skilled staff that provide ongoing support to our students. Each of our support staff have been professionally selected and developed to provide our students the best possible instruction. 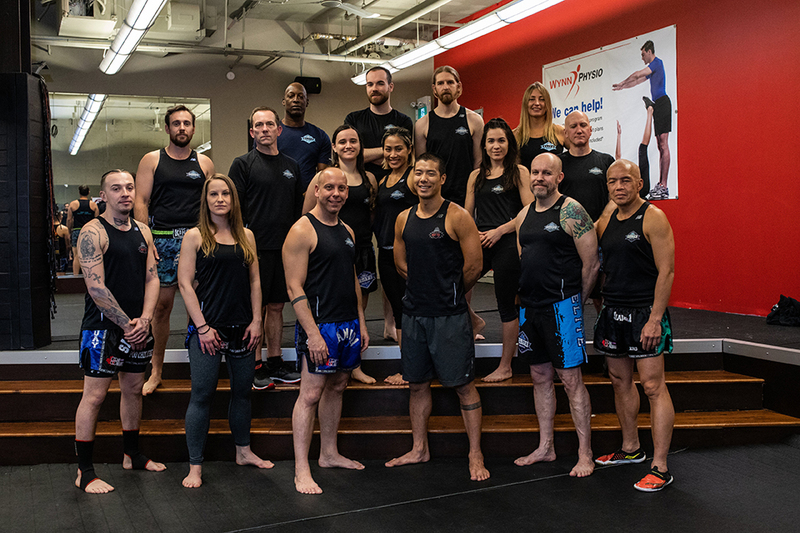 All of our team members are required to pass the in-depth Instructor Certification course offered through The Krav Maga Association of Canada. All of our Lead Instructors hold the rank of Black belt or above!